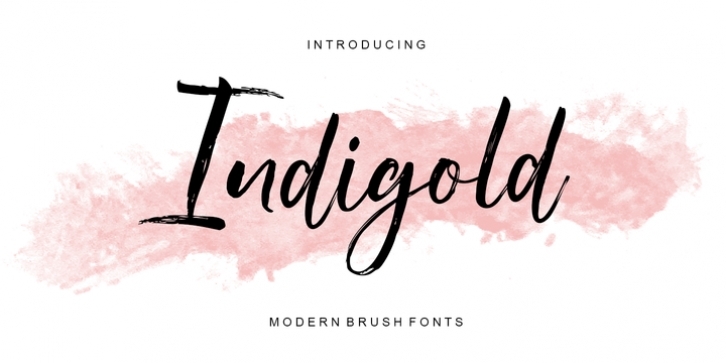 Indigold is a textured brush font, the newly brushed font is very attractive, it also provides several ligatures and additional swashes, as well as a contemporary approach to natural handmade designs with irregular base lines. Suitable for use in title design. Such as clothing, book titles, stationery design, quotation marks, branding, logos, greeting cards, T-shirts, packaging designs, posters, and others. Indigold includes a complete set of upper and lower case letters, as well as multi-language support, numbers, punctuation, ligatures. Indigold font is encoded with Unicode PUA, allowing full access to all additional characters without designing special software. Mac users can use Font Book, and Windows users can use Character Map to view and copy one of the extra characters to paste into your favorite text editor / application.